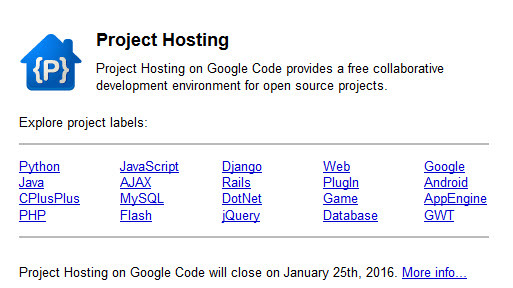 Google has announced the closing of Google Code project hosting service. August 24, 2015 – The site goes read-only. January 25, 2016 – The project hosting service is closed. You will be able to download a tarball of project source, issues, and wikis. These tarballs will be available throughout the rest of 2016.